Hands up if Full Metal Panic! was among the first anime you saw. 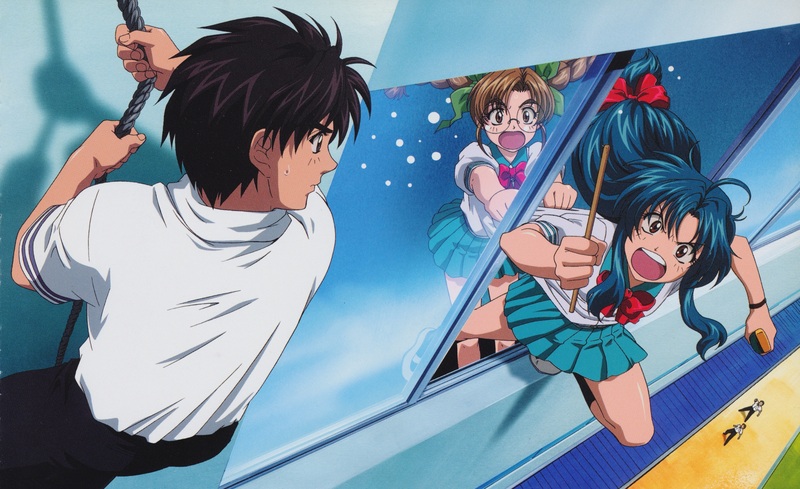 The first 24-part FMP series, introducing the tempestuously strong-willed schoolgirl Kaname and her schoolboy/soldier guardian Sosuke, was made back in 2002. It was followed a year later by the far lighter-hearted Fumoffu, while the action-orientated The Second Raid came in 2005. A gap of thirteen years followed before the anime resumed with Invisible Victory – another very action-focused series – in spring 2018. Full Metal Panic! is based on a series of books, and AllTheAnime jumped at the chance to interview its author Shouji Gatou on his first trip to England. In contrast to the adventures of Sosuke and Kaname, Gatou says his early years were extremely average. “I was just a normal kid, so I played football, baseball, watched anime, read books… just really normal,” he says. His favourite robot anime was Sunrise’s Armoured Trooper Votoms, which began as a TV show in 1983. Gatou enjoyed reading – it’s no surprise he’s a Tolkien fan, given the benign secret organisation in FMP is called Mithril, after the Middle-earth metal. He’s also into adventure novels, citing the earlier books of Tom Clancy, Alistair Maclean (author of Where Eagles Dare) and Jack Higgins (author of The Eagle Has Landed). “Thinking about it, I seem to like British adventure novels the best!” Gatou laughs. His favourite film is that great Christmas heart-warmer, Die Hard. We ask if it was Gatou’s editor at Fantasia who guided the story to its final form. “The high-school element was more the direction that the publisher wanted to take, rather than the individual editor. Robot-based light novels don’t really sell, so the publisher thought FMP needed the high-school element or they couldn’t publish it,” Gatou laughs. Gatou had no inkling that FMP might become an anime when he started writing it. “I had no idea. If FMP hadn’t taken off, the first volume would have been the last volume!” he says. However, the early anime series helped Gatou as he continued writing the books. “When I was writing dialogue, I would be imagining the voices of the actors,” he says. FMP’s main cast has stayed the same through the years, both in Japanese and English. Gatou only encountered the English dub when he saw part one of Invisible Victory at London’s Comic Con. “A lot of it sounds cooler in English, like ‘Roger!’” he enthused. Of course, FMP veers between Die Hard action and high school silliness. 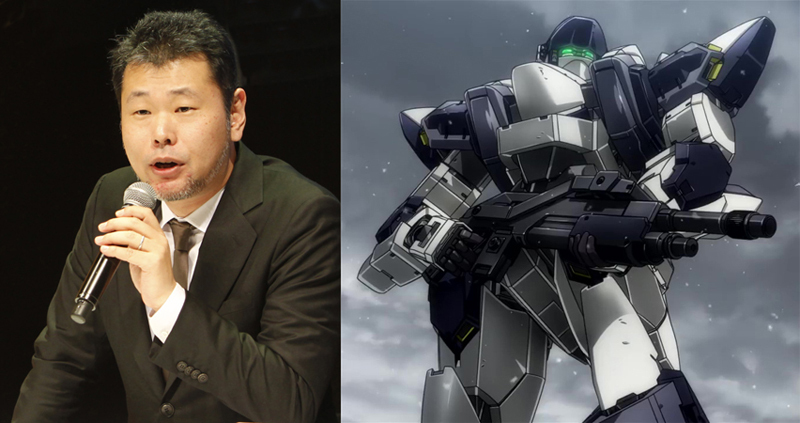 The latter side dominated completely in the 2003 anime Full Metal Panic! Fumoffu, based on Gatou’s comedic short stories. Notably, Gatou considers Fumoffu not as some fluffy spinoff, but as an important part of the franchise. Given Invisible Victory’s intense drama and action, we wonder if it’s closer to Gatou’s early concepts for FMP, which didn’t have the high-school comedy. Gatou allows that it’s an interesting question but says no – Invisible Victory is still rooted in the action-comedy storyline that fans know and have followed for the last two decades. In a Q&A, Gatou adds that switching between action and comedy comes naturally to him; he gets bored if he stays too long on one side or the other. Fans who miss the funny Gatou of Fumoffu might try Amagi Brilliant Park, his comedy-fantasy about a run-down theme park, staffed by magic creatures. Another light novel series by Gatou, Amagi was adapted into a TV series by Kyoto Animation. Hyouka! is steeped in the history and rules of mystery fiction, including the British classics by Doyle and Christie. We ask about Gatou’s interest in the genre. “To be honest, I didn’t really have a clue about it!” he answers astonishingly. “I had to do some hurried research.” When we suggest he’d need to have a researched a lot, Gatou laughs he could just ask Yonezawa: “He was very generous.” The light novel author to the rescue! The first three seasons of Full Metal Panic! are released in the UK by Anime Limited.